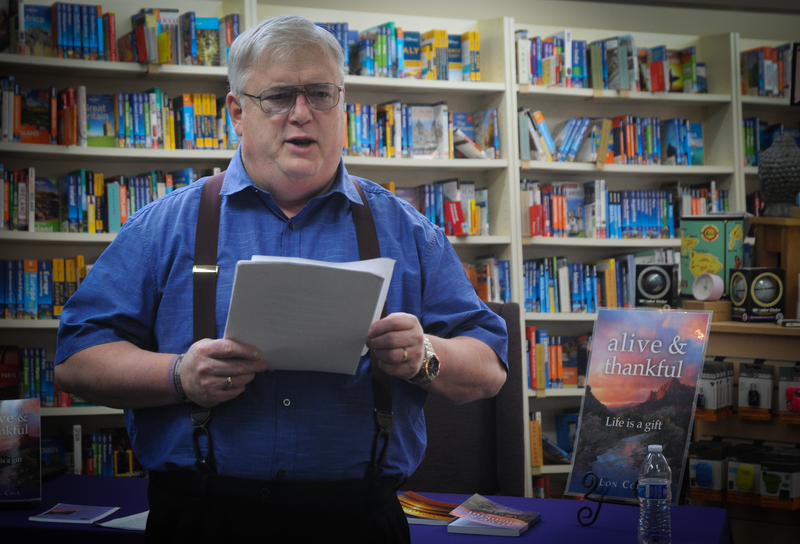 Lon Cole reads from his writings at the University Bookstore in Bellevue in 2015. I lasted four and a half months in the jungle. 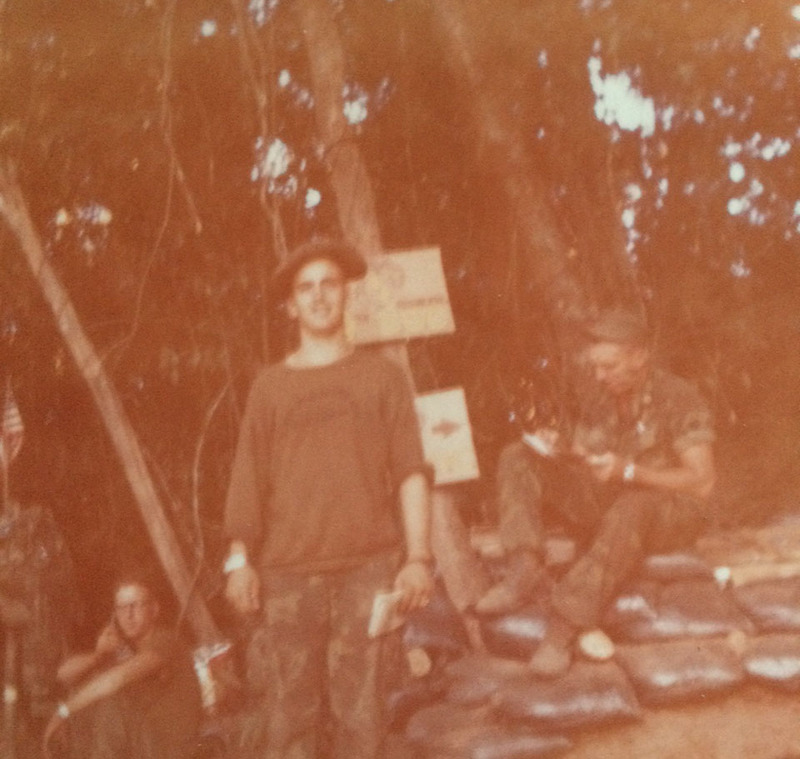 I was a hospital corpsman and the year was 1969. I’ll never forget that fateful cry for a corpsman after we were ambushed. I crossed the Vietnamese enemy lines to patch up a point man who was shot in the belly. During the ambush, I was also wounded but hadn’t realized it. I began treating the point man, but got shot again in the shoulder. I couldn’t stop my bleeding, so I focused on the Marine and stayed with him until they pulled him out. I was left for dead. I stumbled through gunfire making it to a more concealed area. But bleeding intensely, I collapsed and started to go into shock. I realized that behind enemy lines my chances of survival were slim to none. As I lay there, I thought of my short time in Vietnam. I had treated many wounded Marines that I tried but couldn’t save. Losing a Marine was like losing my brother or my son. I saw them die in so many different ways, and I couldn’t stop it. After a while on the ground, to my surprise, a South Vietnamese scout found me and carried me back to safety. I had never seen the scout before. When he dropped me off to the Marines, well, it’s like he just disappeared. Life is a gift. Because of that brave man, today, I’m alive and thankful. Lon Cole, Navy Hospital Corpsman 3rd class, poses at an artillery base in Vietnam in 1969. He served as a combat medic to the Marine Corps. In 2007, I was hospitalized for post traumatic stress disorder; a by-product of my time serving in Vietnam and carrying that trauma for over forty years. When released, the Veterans Affairs (VA) hospital informed me that I had memory problems. One year later, the VA tested my memory again. The test took four hours to complete. Two weeks later they asked for my wife and me to come back to the memory clinic for the results. They informed me that I probably had younger onset Alzheimer’s disease in the early stages. As my wife and I got in the car to return home, she looked at me sadly and said, “I was hoping you would get a pass on this one.” That hit me hard. By the time we got home I was pretty shaken up. I searched for hours on the computer about anything I could find on Alzheimer’s disease. That only made it worse. About 2:00 a.m., I remembered my doctor telling me about the Alzheimer’s Association 24/7 Helpline, so I gave it a try. Immediately, someone answered the phone. I showered her with questions, and she took the time to answer each one. I knew when I hung up the phone that I wasn’t alone on this journey. I had my wife and family, my faith in God, and the Alzheimer’s Association had my back. At that moment, I decided that although I had Alzheimer’s disease, I was not going to let it have me. Or define who I am. Life is a gift. I’m still alive and thankful. Since then I’ve begun to volunteer for the Alzheimer’s Association. I am on two advisory councils: one for Pierce County and the other for those with early stage dementia. I serve as a peer-to-peer counselor, and I do public speaking for the Alzheimer’s Association when asked. I enjoy serving with the Association because they are a quality group of people who provide excellent service for free to those with dementia and to their caregivers. I also volunteer at my church to help people find jobs when they are out of work. Both are very rewarding. I still have to be treated for the PTSD, but I get a lot of help from the VA, and like my Alzheimer’s, I don’t let that define who I am. 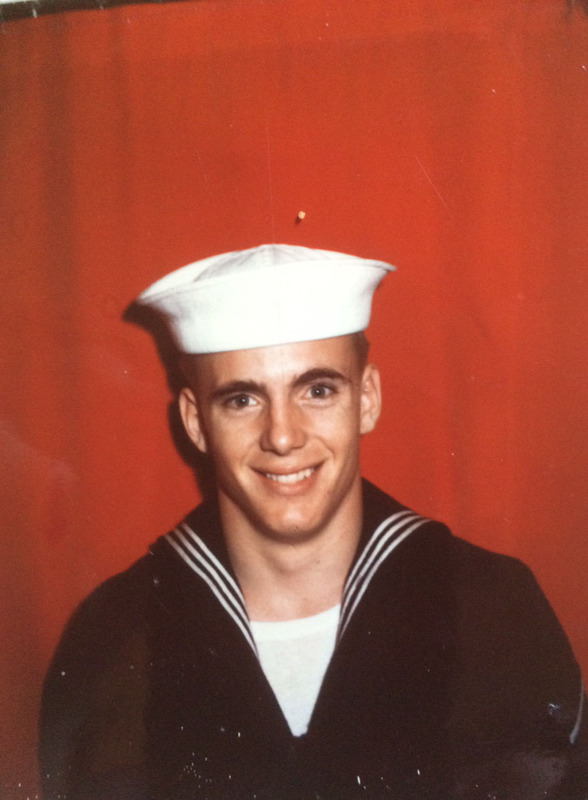 Lon Cole poses for his military photo after bootcamp in 1967. On this Independence Day holiday, let’s remember our veterans—the men and women who have fought for our freedoms and have kept us safe from the 1700s until today. We owe them so much. Let’s celebrate being alive and thank them. Lon Cole, you are a hero to me. Thank you for enriching my day. I’ll be thinking of you and your service to our country on July 4th.